I lean more toward a favorite 'type' than a specific character. Whether I'm writing original prose, media tie-ins , a web series -- you name it -- my fondness goes toward the character who I've deliberately given the worst background. The more 'down-in-the-hole' the character is in the first few chapters, the more I want to just fling the worst possible circumstances their way. I'm perpetually fascinated by characters who reach for fatalism as a safety valve, but then have leadership thrust upon them and realize that 'giving up' just won't cut it. Not if they don't want to pull everyone else down around them. Whether it's Jack O'Neill (SG-1), Roz Griggs (Epilogue), or Kate Hazard (a protagonist in the original novel I'm currently working on), the journey to overcome obstacles provided by the world around them (or their own internal demons) is the most rewarding to write and to read. Life's a challenge. It's how we climb out of the hole and move forward that makes for a great story (and a great life). As a filmmaker, I had the extraordinary fortune to travel quite a bit. Collaboration was a great way to get know the people versus taking the tourist route. I've been to six out of the seven continents so far! But, of all the places I've been, the most extraordinary was Antarctica. I'd move there in a heartbeat. In preparation for writing for THE DRIFT, I realized that I had to visit the bottom of the world first. Sure, I’d read everything I could get my hands on, but nothing I read evoked a strong enough image to spur the story I had in mind. There are, after all, just so many times you can use the word “cold” without being redundant. There is an overwhelming honesty to the region. Imagine the coldest, driest, and yet most powerful place on Earth. Air so crisp it bites at your lungs and makes you happy to be alive. Rugged white mountains. Deep crevasses that look like someone had squeezed blue gel toothpaste onto the snow. Antarctica represents nature unbridled. Free from expectation. The land's nature was relentless. Unforgiving, and yet it's honest. Truthful. If you'd like to read more about my experiences there, visit the ANTARCTICA JOURNEY section of my website. I've included journal entries, videos, photos. Not a day goes by that I don't miss it. I consider pop culture to be humanity's modern myths. Sure, we need to remember where we came from and the classic myths are a great place to start, but as a science fiction writer, I'm more interested in looking forward. Be it books, television or film, popular culture represents our current zeitgeist and while Honey Boo Boo isn't exactly my idea of an optimistic viewpoint, modern storytelling allows for such diversity! Portions of the population previously ignored now have stories that personally resonate with them whereas decades ago we had very little. As both a writer and reader, I'm in seventh heaven thanks to pop culture and how easily obtainable it is through eReaders (books, short stories, comic books) and online media streaming (film, television and web series). Classical, always. My dad was a classical record producer so I've been listening to the genre since conception (My parents actually met in a recording studio). I'm a huge fan of film and television scores, too. Whenever I begin work on a project, I'll create a playlist on iTunes with the book's title and then load it up with everything from Bach to Zimmer. I've also created playlists for certain types of scenes like battles, love scenes, contemplative moments. Knowing the type of music I play affects the rhythm and structure of my writing, I can pick a particular list to help my style and tone. I'm an outline nut. I'm a big believer in methodically building the structure's foundation so I can relax and get into the spontaneity of a scene without worrying about where I'm going. I start with colored note cards splattered all over my office walls -- a different color for each POV -- and then write the thing up in outline form with a paragraph for each scene. The technique is steadfastly used in dramatic television writing and with good reason. It's a road map. How can you know where you're going if you don't know your destination? It doesn't mean you can't take detours, but in the end, you have to go somewhere. For plot: Clarke, Asimov, Heinlein are my old standbys, but I also look to Allan Steele, Stephen Coonts, Stephen King, Joss Whedon, and Ira Stephen Behr. For character and theme: David Mitchell, GRR Martin, Frank Herbert, and again, Whedon and Behr. But let's not forget humor! Even the darkest stories need moments of contrast or the reader/viewer gets numb. Douglas Adams has always been a favorite and I'm really inspired as of late by Community's Dan Harmon (I love meta-humor). 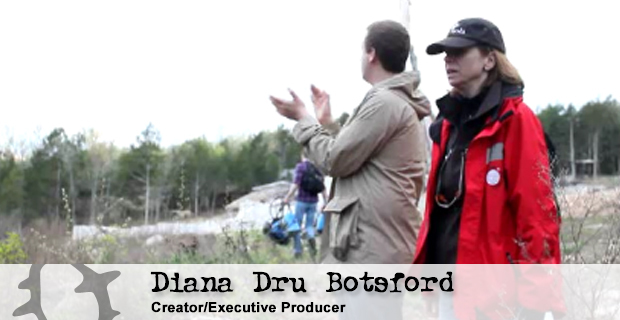 Diana Dru Botsford has written for a variety of mediums including novels, television, stage and comics. While currently focusing on original novels and media tie-ins (Stargate SG-1's "Four Dragons" and "The Drift"), she recently created and executive produced the SF web series, Epilogue (see epiloguetheseries.com). Her screenwriting credits include "Rascals" for Star Trek: The Next Generation and episodes of Spiral Zone. Prior to picking up the pen, she worked in the television & film industry as a writer/producer and Visual FX Supervisor. An aficionado of speculative fiction -- from science fiction to horror, she's a frequent host on the popular Gateworld.net podcast. 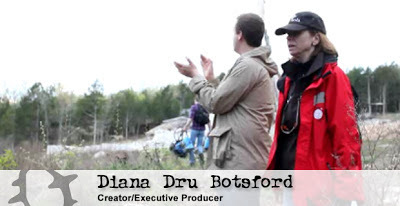 Botsford graduated from Boston University's film program with a degree in screenwriting and producing. She holds a Masters degree in Writing Popular Fiction from Seton Hill University and is currently serving as an Asst. Professor of Screenwriting at Missouri State University. 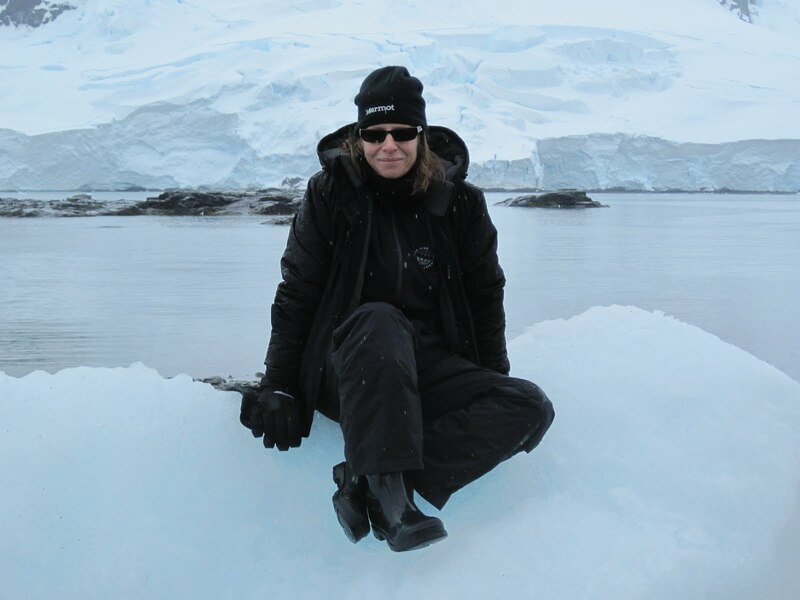 To find out more about Diana's first-hand research in Antarctica--including an extensive collection of photographs and videos--visit dianabotsford.com. 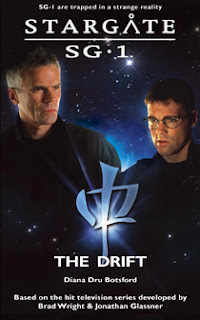 With Earth’s Ancient weapons chair at the center of an international dispute, Dr. Daniel Jackson is sent to Antarctica to sooth diplomatic tensions. Meanwhile, General Jack O’Neill reluctantly takes charge of a radical new weapons chair training program. But when a natural disaster hits Antarctica, the future of the Ancient outpost – and of Earth itself – is thrown into jeopardy. Yet again, Earth’s fate lies in the hands of SG-1, but this time the team are lost and powerless to help. Trapped within a strange reality, SG-1 encounter old friends and enemies as they struggle to escape and stop the Ancient cataclysm that’s threatening to destroy the planet. You have so many exciting things going on, Diana! Thanks for stopping by and sharing them with us. I would love to go to Antarctica--if I could handle the cold.